Need a ride from the airport? Leave the driving to CID Entertainment! 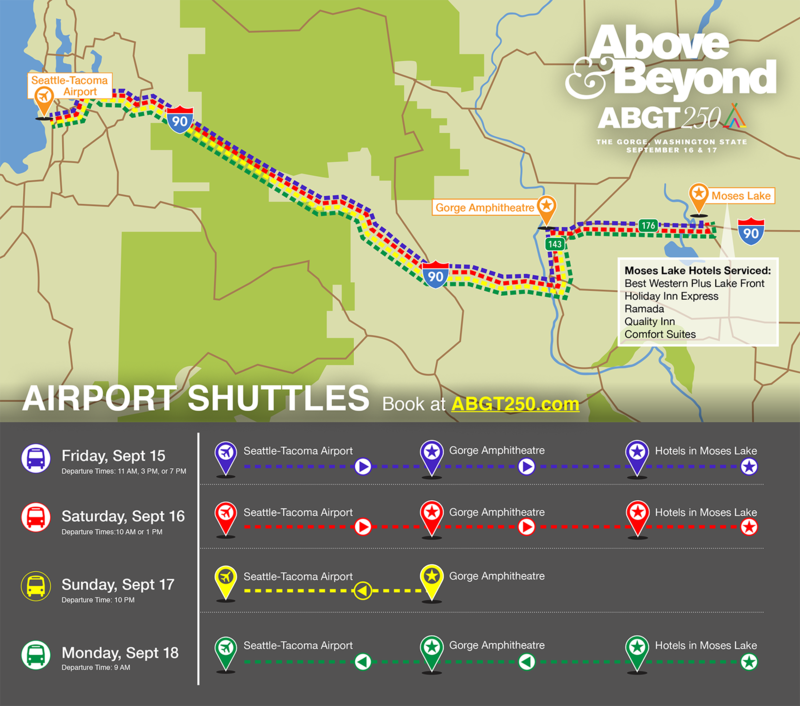 Roundtrip and one-way shuttles are available from Seattle-Tacoma International Airport to The Gorge campgrounds, as well as any of our travel package hotels including the Best Western, Quality Inn, Comfort Suites, Holiday Inn and Ramada Moses Lake.